We’re delighted to have once again been nominated for The Drum Search Awards – one of the most prestigious awards in the calendar! 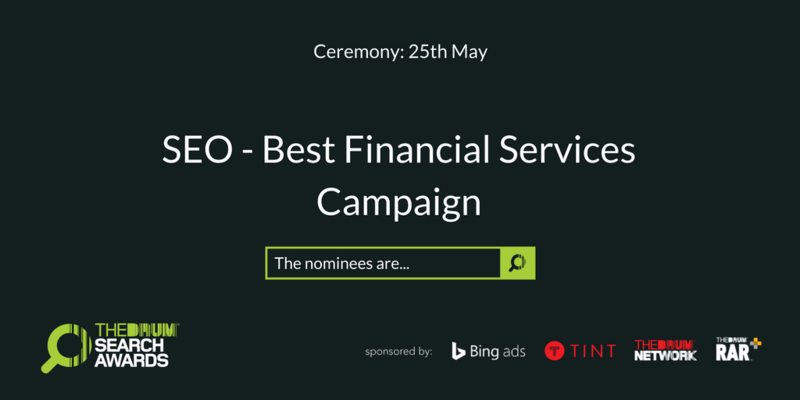 This year, we’ve been shortlisted in the category ‘SEO – Best Financial Services Campaign’ for our work with content agency To The End on driverless cars. With our client, Adrian Flux, we created the world’s first driverless car insurance policy in draft, together with an authoritative content hub on the subject, in order to gain PR placement, site visitors and high authority links. This campaign is a great example of the strategic vision, teamwork and dedication we put into the work we do for all of our clients. Further is going from strength to strength, and, just a month after gaining four finalist nominations at the European Search Awards, we’re honoured to again be recognised as one of the UK’s leading insight-led strategic agencies. We look forward to the ceremony in London on 25 May. Keep your fingers crossed for us! If you’re interested in working with us, give our client team a call on 01603 878240, or complete the contact form below. We’d love to hear from you.